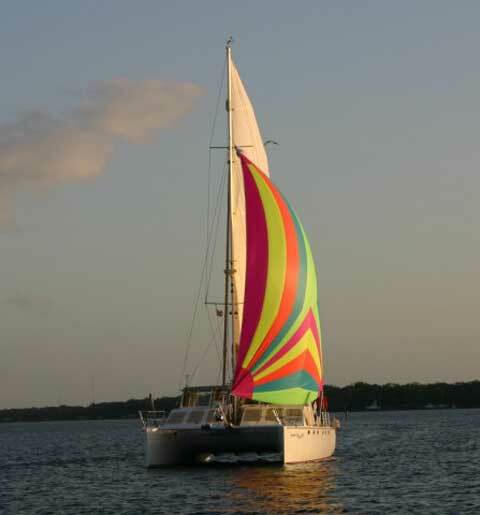 This one of a kind, custom built Malcolm Tennant designed Timeline 46' catamaran is currently in service for Indian River Cruises as a crewed day charter. It was launched in May 2005. She is available with or with out the slip. 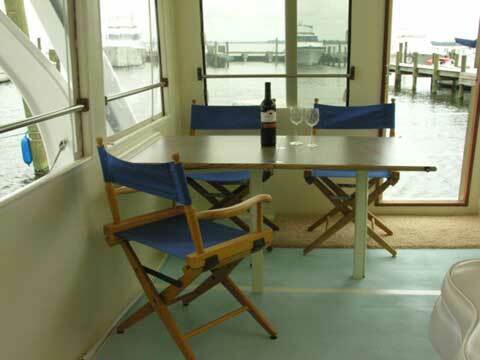 Boat slip is at Cocoa Village marina across from historic Cocoa Village Florida right on the intercostals waterway. It has its own pump out and is completely protected from the wind and waves by a concrete wall. Facility is absolutely top notch. 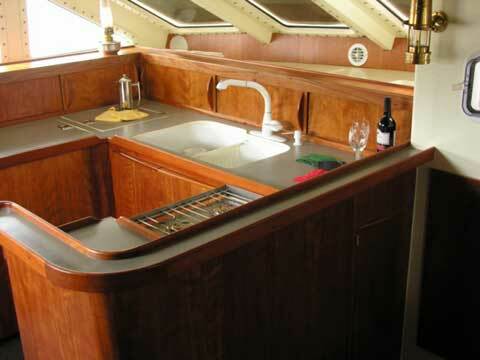 The catamaran is set up as an owner's version, galley/salon up. 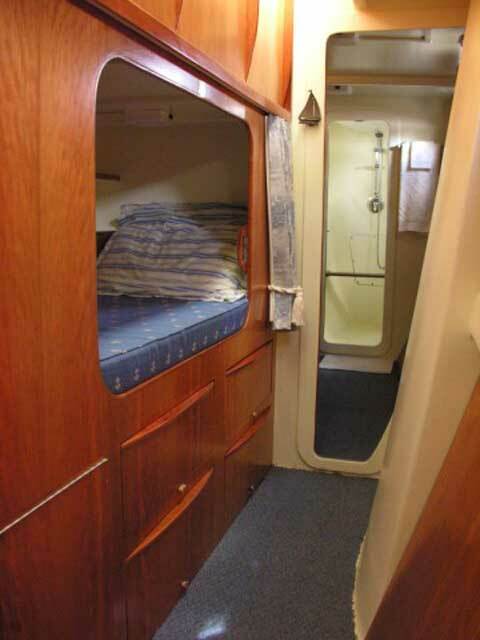 Master cabin with private head starboard. 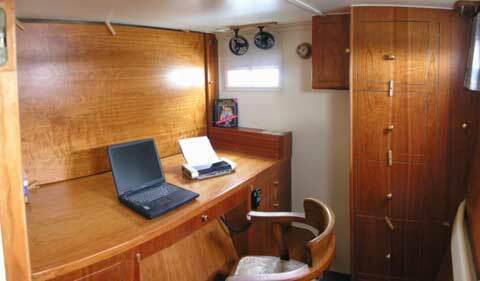 Separate office with Murphy pull down bed, guest queen size cabin and port head. 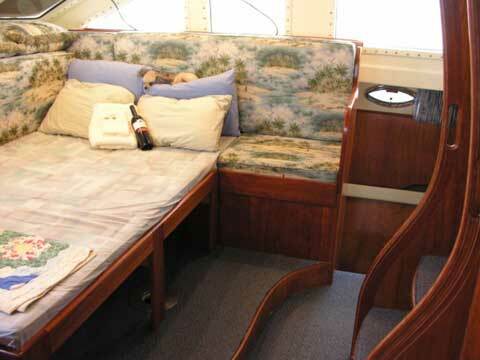 The salon converts to a queen bed. 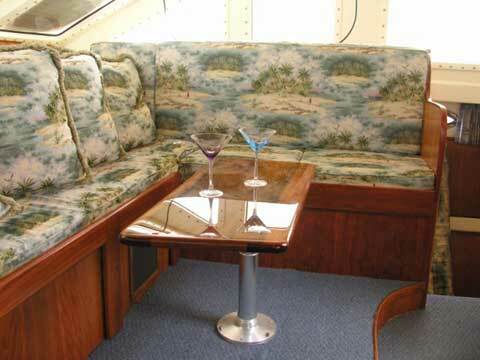 There is a pilot berth under the sofa in the starboard hull. 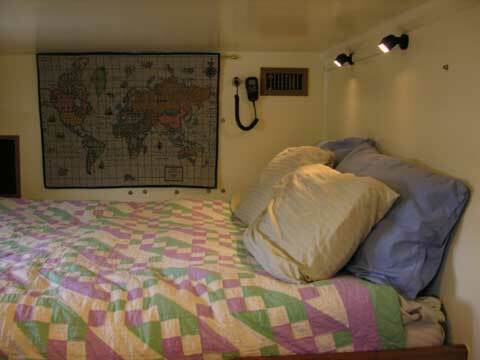 She is self sufficient with a 5.5KW generator and ready to cruise the world. 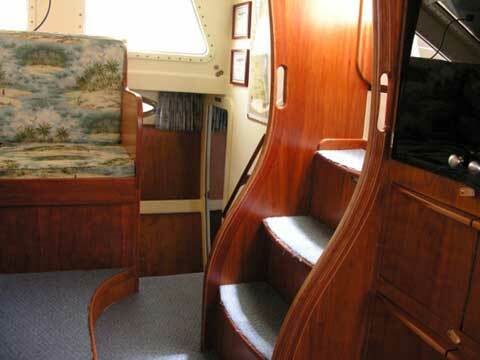 This boat is a custom work of art with cherry interior. Must see to believe. The seller is the current owner and builder. Interested party's can receive a CD with more pictures upon request. 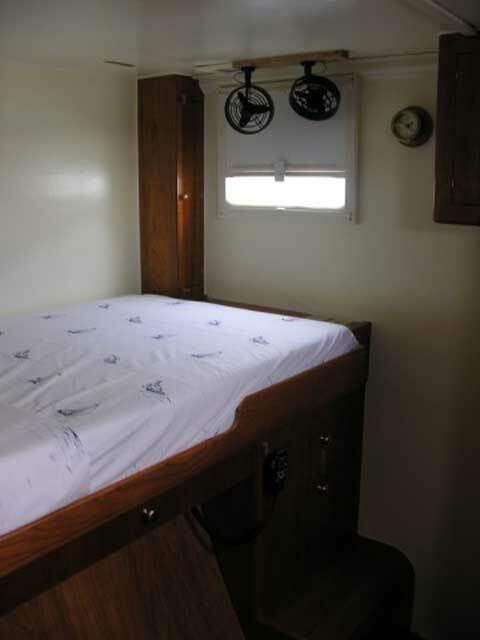 400S Harkin roller furling jib all controls led to cockpit. 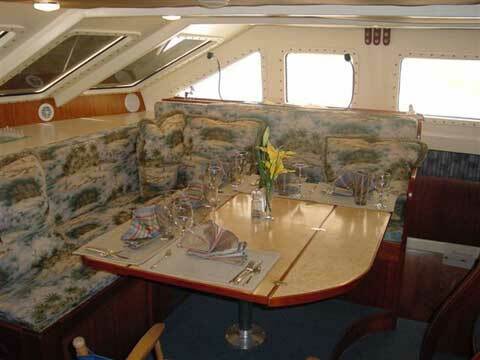 Lamar windless v series for primary anchor. 100' 3/8 hightest chain & 200' rode. Second and third anchors both 50'high test chain with 200' rode.